YOUR FAMILY'S LOVEABLE PET CAN BE YOUR CARPET'S WORST ENEMY. 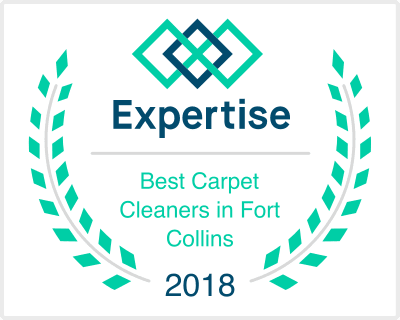 But Fort Collins, Colorado's Comfort Carpet Clean is here to help you eliminate pet odor and stain problems. You’ll have a better relationship with your pet after we do our job. Even the most well behaved pet can have an accident or get sick on your carpet or furniture. And unless the urine is addressed, further damage to your carpet, pad, and flooring can occur. In some cases, normal carpet cleaning or light deodorizing may be all that is needed. However, in more severe cases, the pet urine soaks through the carpet, and into the pad. It may even soak into the floor and tackstrips. In these cases, each level of the problem must be addressed to successfully eliminate the odor. We have a process that can take care of your needs. We even have a tool that can pull pet urine from your carpet padding without removing the carpet. Comfort Carpet Clean has a specialized method to remove these difficult pet stains and odors. Call us. We’d love to come out to your home to let you know EXACTLY how we can help you. If Fido or Buttercup are giving your Carpet a little bit of an Odor problem, give us a call today and we'll get your frown turned upside down. 970-682-8119.